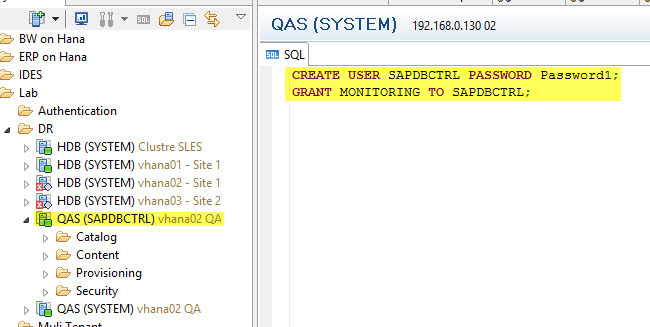 In my documentation I’ll explain how to setup and configure SAP Hana system replication (HSR) with 3 system for two different case. 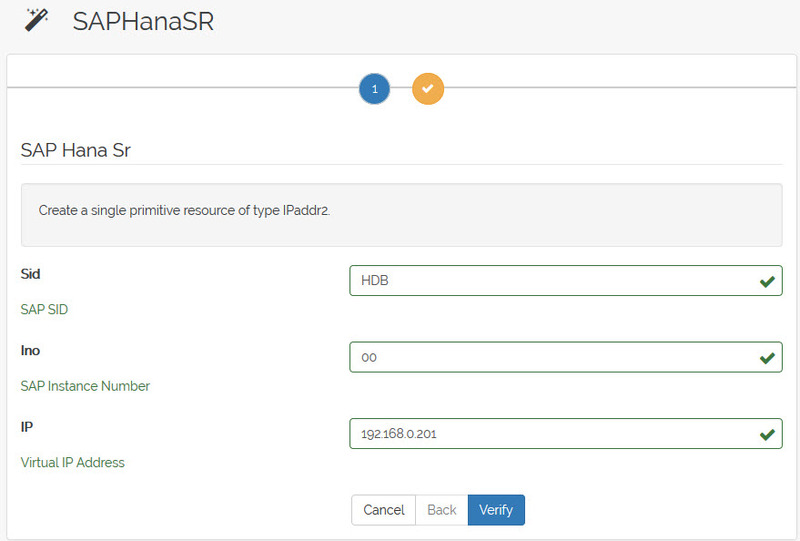 • In the first scenario I will use configure the replication with 2 Hana system in the same datacenter by using HanaSR (SLES12) and connect another Hana system from an outside datacenter. 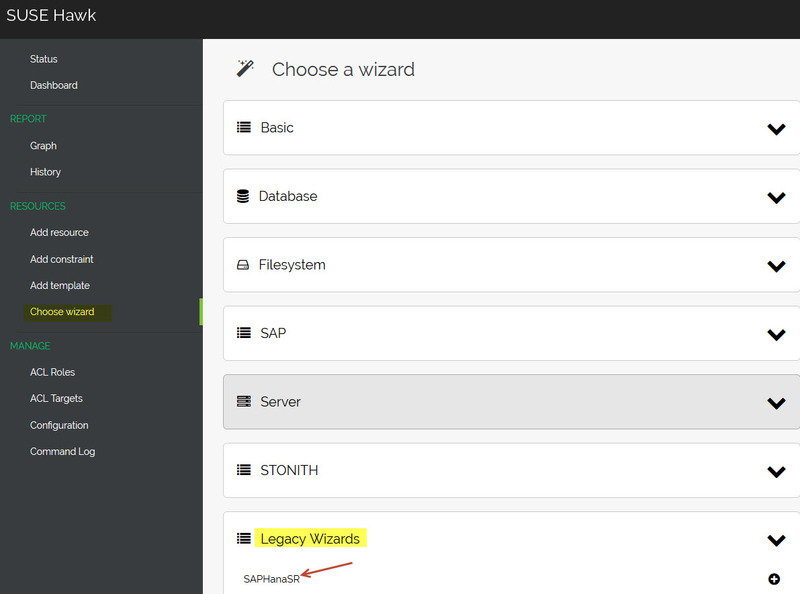 • In second scenario add a QA instance on my secondary node in order to run for a HSR Cost Optimized solution. 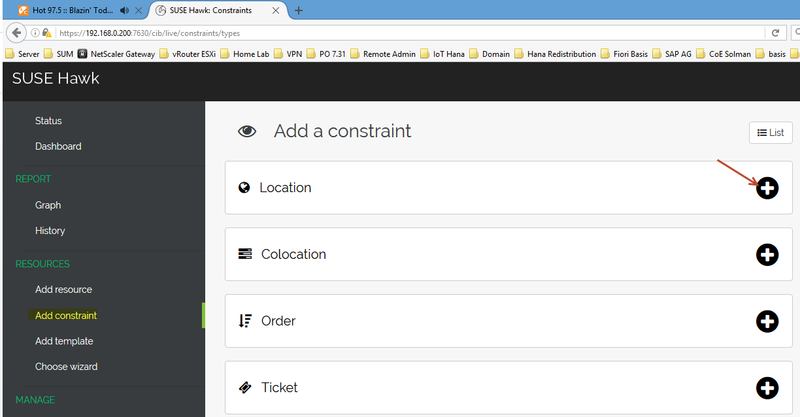 Disclaimer: My deployment is only for test purpose, I make the security simple from a network perspective in order to realize this configuration and use open source software. 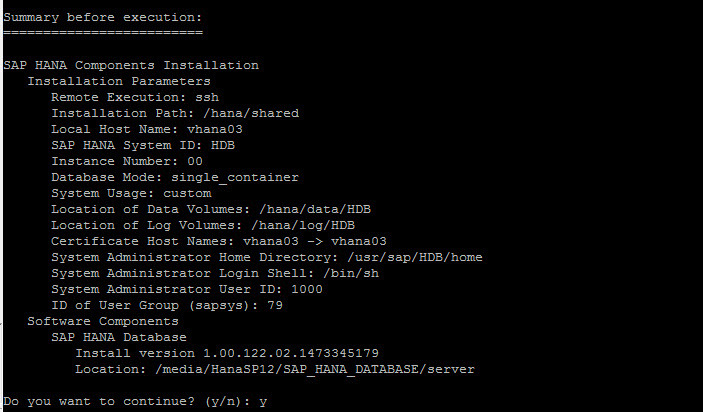 From a detail point of view, on my primary site the SAP Hana Revision 122 will be installed on two SLES 12.1 server respectively and will be setup for HSR in SYCH mode. 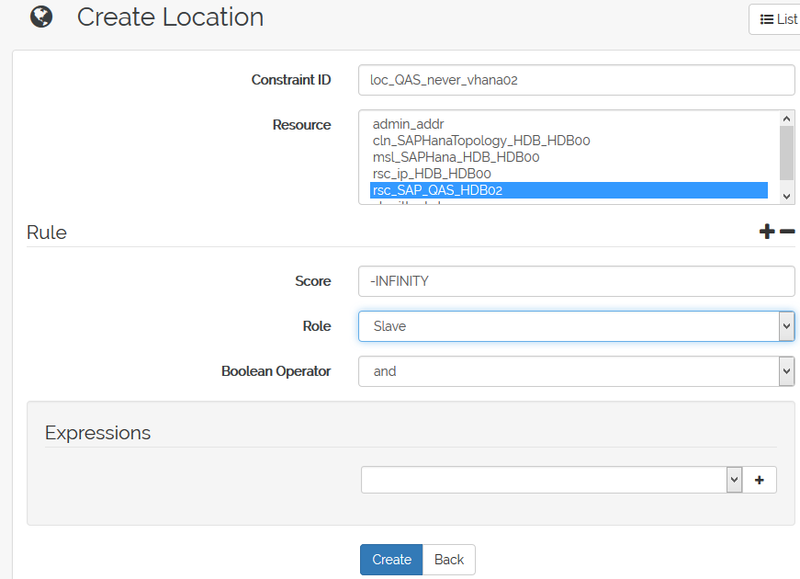 The replication will use a dedicated network, both server will be installed will operate on cluster mode with the SAPHanaSR deployed in order to automated failed over of Hana in case of server failure or else. 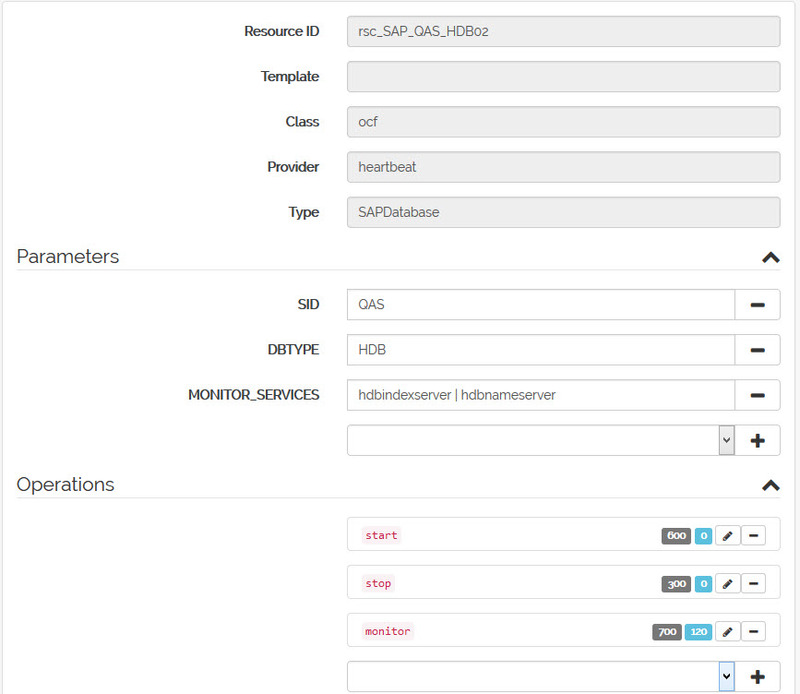 On my secondary site another Hana instance will be deploy and will be setup for HSR with the primary site on a dedicated network as well. 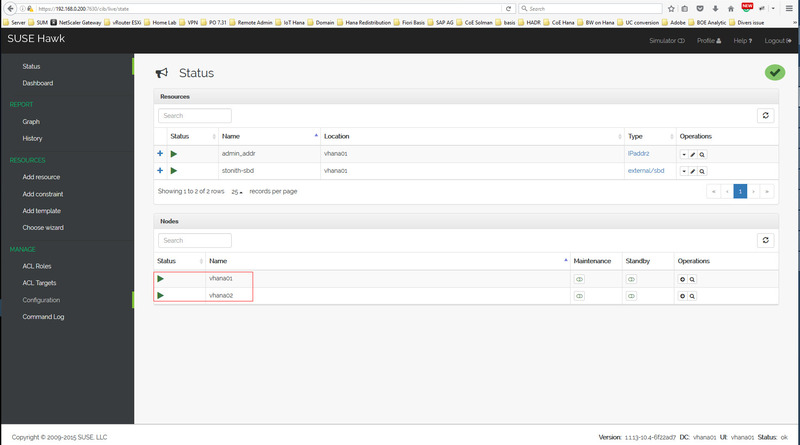 My Two Hana instance are installed and running, I can start the HSR configuration. 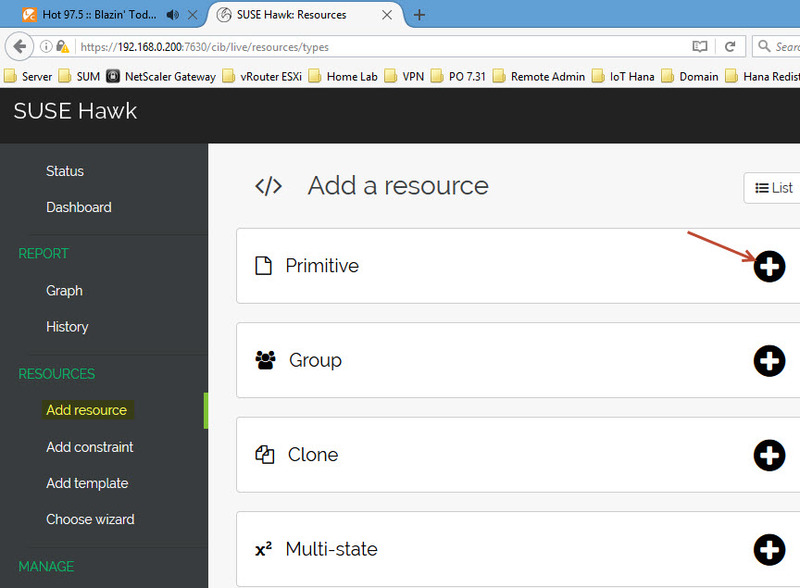 The replication setup completed I will now take care of the cluster setup/configuration of the SLES 12.1 server. 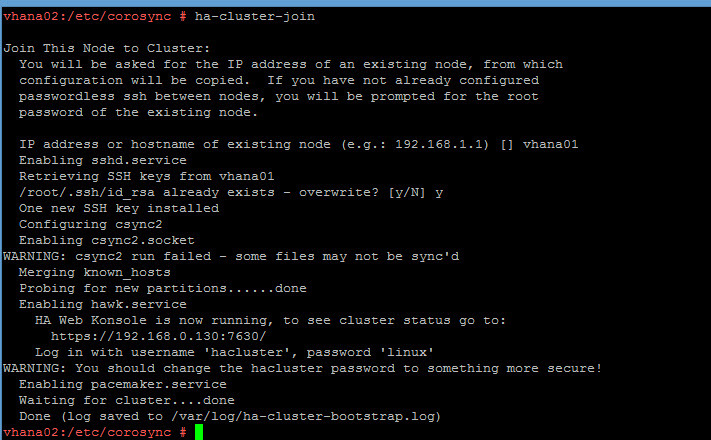 Download and install the package, once done I setup the SLES cluster. 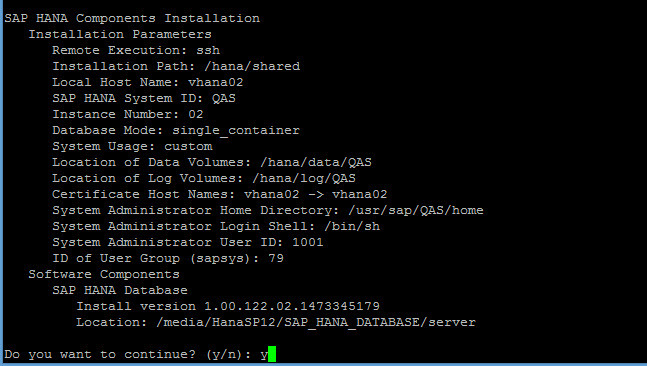 My Hana HSR in place and my SLES cluster green, I can now start the SAPHanaSR configuration. Note: I’ll leave the parameter highlighted to the value “no”, what does it mean? Defines whether a former primary should be automatically registered to be secondary of the new primary. 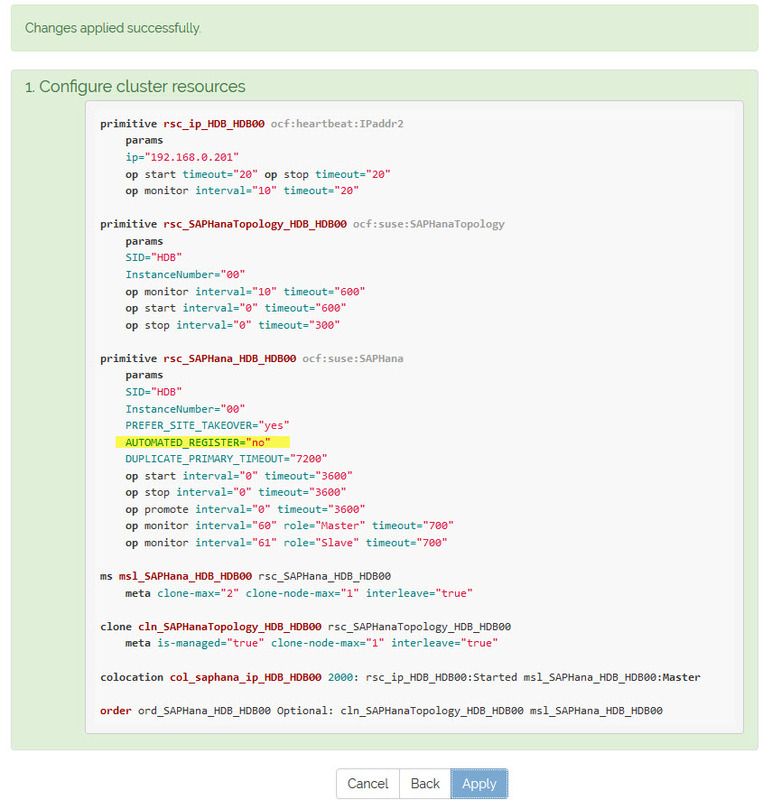 With this parameter you can adapt the level of system replication automation. If set to false the former primary must be manually registered. 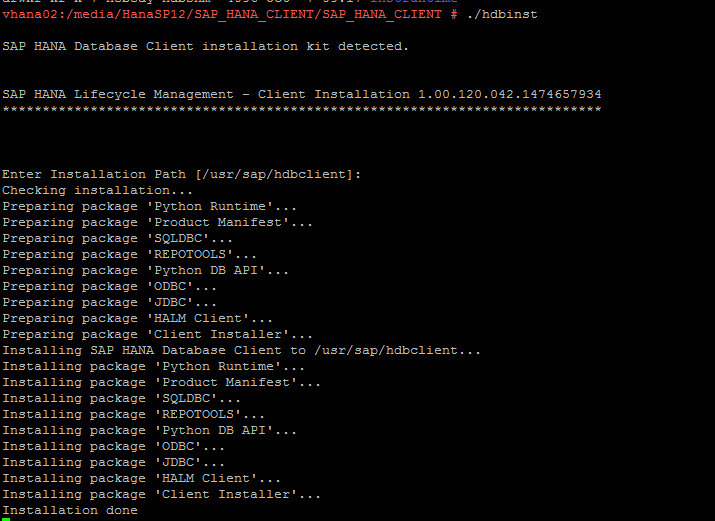 The cluster will not start this SAP HANA RDBMS till it is registered to avoid double primary up situations. 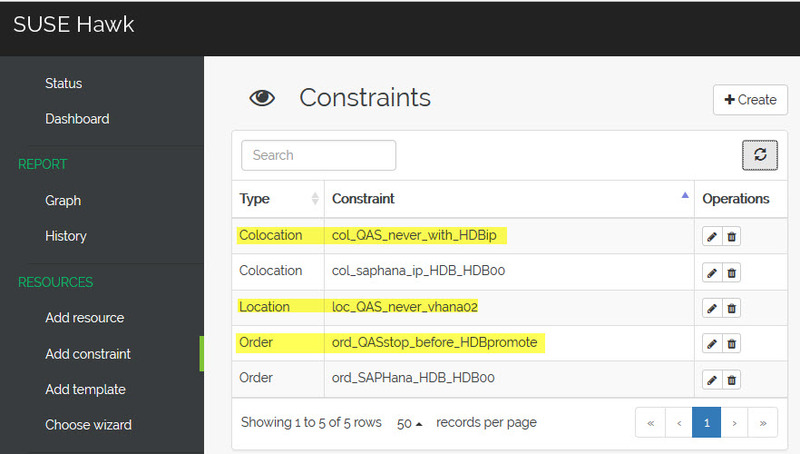 As of today this mechanism is only supported for two node cluster with Hana. 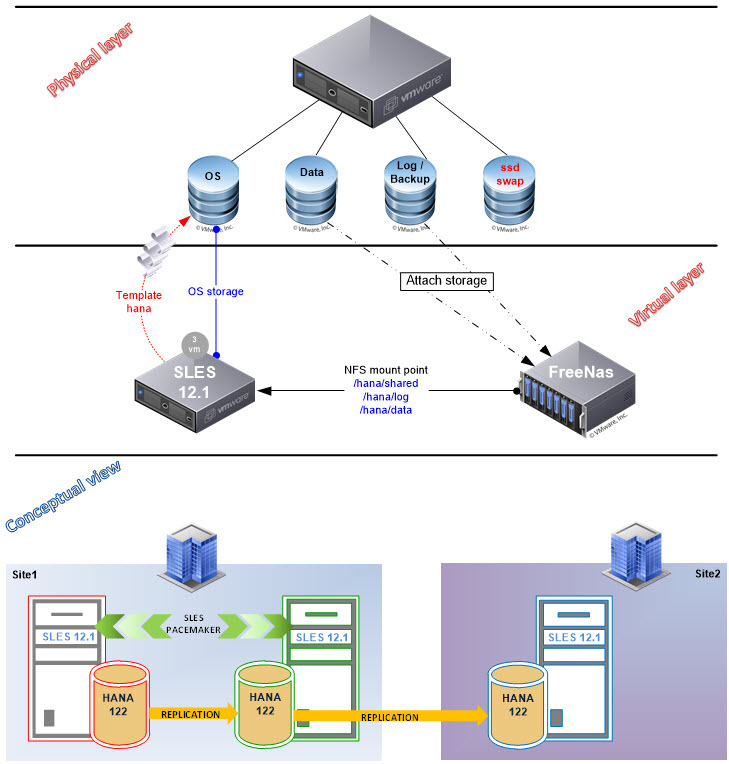 For this particular scenario I will use the automatic failed over mechanism between 2 datacenter but will install a QA instance on my secondary node in order to use the cost optimize option. My configuration is completed for my both case scenario.